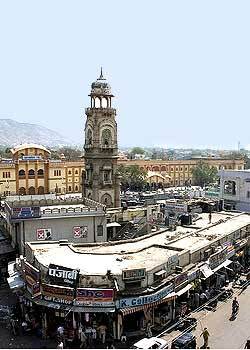 Ajmer exudes bustling life with its engaged market places and moving (and obstructed) traffic. One specific street sells just silver items! A religious place with a famous dargah of a pious Muslim saint, Ajmer is known to fulfil the wishes of many a disheartened soul. The qawwalis at the dargah on Thursday and Friday nights (and also during Urs festival ) inspires the spirit of devotees and tourists like never before. The history of city reveals changing of ruling dynasties, from Chauhan Rajputs to Ghoris, Mughals and finally British. The city has numerous other attractions in store for tourists. The famous Mayo college established by British had the Maharaja of Alwar as its first student. 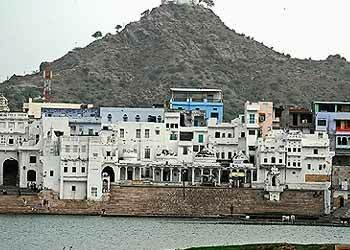 Myths and legends float throughout India and Pushkar is no exception. The holy lake here is believed to have appeared miraculously when a lotus flower fell off from the hands of Brahma. The name itself draws from the flower that fell off - Puspa meaning flower and kar meaning hand. But legends do not end here. The story also has inputs from Goddess Savitri, wife of Brahma. After all, it was she who made Pushkar the land of Brahma, the only place where he was to be worshipped by future generations. Haridwar - the land that signifies god. It is one of the twelve most holiest places revered by Hindus and also believed to be one amongst the seven cities touched by god. Numerous legends are associated with every holy spot in Haridwar and that is what makes every bit all the more captivating. An ancient city, it finds mention in most old scriptures like in the writings of first millennium Chinese traveller, Hyuen Tsang.At no time of the year you will find it devoid of any devotees. Reasons are many. 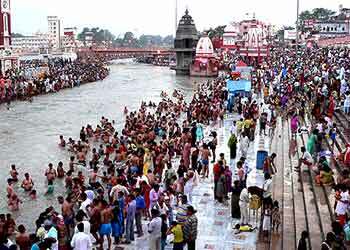 For one, Haridwar is the place where Ganga first enters the plains. Protected by two mountain ranges 'Nar' and 'Narayan' on either sides is the holiest of pilgrimage place of Hindus, Badrinath. With Neelkanth peak forming a beautiful backdrop, Badrinath, the abode of Lord Vishnu is in the itinerary of every devout Hindu. It is one of the four pilgrimage places called Chardham which every Hindu must undertake to attain salvation. The place is called Badrinath because of the wild berries found here ('badri' means berries). 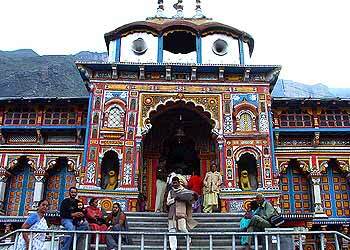 The Badrinath temple here is the main complex where devotees seek blessings. Every year thousands and thousands of pilgrims pay a visit to this place in summers, since due to snowfalls, the temple remains closed during winters. At an altitude of 3,133 metres, it is a difficult journey to this place yet faith defies every hurdle on the journey to salvation. One of the holiest cities in India, Rishikesh is not just known for its religious connection but also for its beautiful landscape. Surrounded by hills (the Lesser Himalayas) on three sides and holy Ganga river flowing through it, Rishikesh is an ethereal experience. 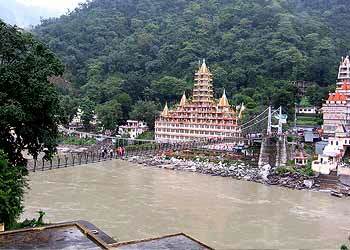 Rishikesh is the gateway to famous Chardham which are Kedarnath, Badrinath, Gangotri and Yamunotri. In fact Rishikesh is a favourite of those coming to meditate and seek salvation. It is believed that meditation on the land of this holy place leads to salvation. Every year many people come here in the ashrams to meditate and gain peace of mind. Looking at the number of monasteries adorning the face of Sikkim, it is not tough to know that Buddhism is the most widely followed religion in Sikkim. There are nearly 200 monasteries in Sikkim that are scattered in all parts of the state. The monasteries of Sikkim are huge and magnificent, inspiring awe the very moment one sees them. The atmosphere of all the monasteries is permeated with Buddhism and spirituality. 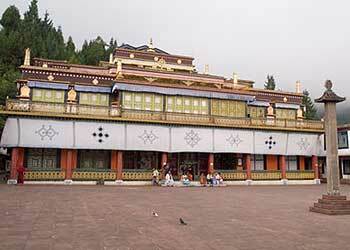 Monasteries are the best place in Sikkim where you can see the arts and culture of the state. Rameswaram is an island on the tip of Indian Peninsula and is connected to the mainland at Mandapam by rail. The town is in the Ramanathpuram district. It also known as the 'Varanasi of the south'. The city is a major pilgrimage center for Hindus, both Shaivites and Vaishnavaites. It is here Lord Rama offered thanks to Siva. The main attraction of the town is the Ramanathaswamy Temple,which is one of the most important temples in southern India. 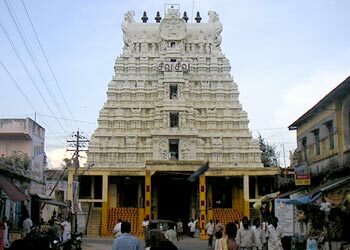 The temple happens to be one of the twelve Jyotirlingas. It is also connected by one of India's engineering wonders, the Indira Gandhi Bridge. It took 14 years to build and was opened by Rajiv Gandhi late in 1988. Travelers will not have to face any problems as English is widely understood and spoken.